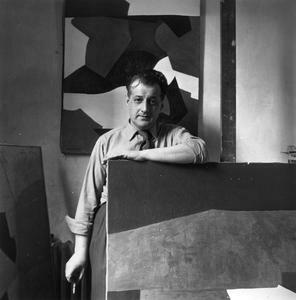 Poliakoff's work is in numerous public collections, including the Kunstmuseum Bern, Neue Nationalgalerie, Berlin, Museum of Modern Art, New York, Musée national d’Art moderne, Centre Georges Pompidou, Solomon R. Guggenheim Museum, New York, Stedelijk Museum, Amsterdam and the Tate Gallery, London. 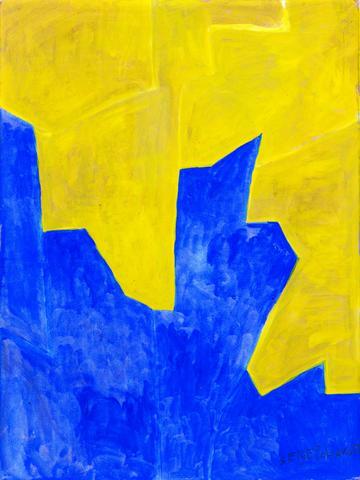 In 2013 a major retrospective, ‘Le Rêve des Formes’ was at the Musée d’Art Moderne de la Ville de Paris. The 2016 exhibition at Cheim & Read marks the artist's first solo exhibition in New York in thirty-five years.